Rose Gold Celtic Ring. Irish Jewelry direct from Ireland. 9K Rose Gold Ladies Celtic Ring. Made in Ireland and Hallmarked in Dublin Assay Office. This ring is a great choice to show off your Irish Heritage. Rose Gold Ladies Celtic Ring made in Ireland Irish Jewelry. Irish Jewelry made in Ireland. 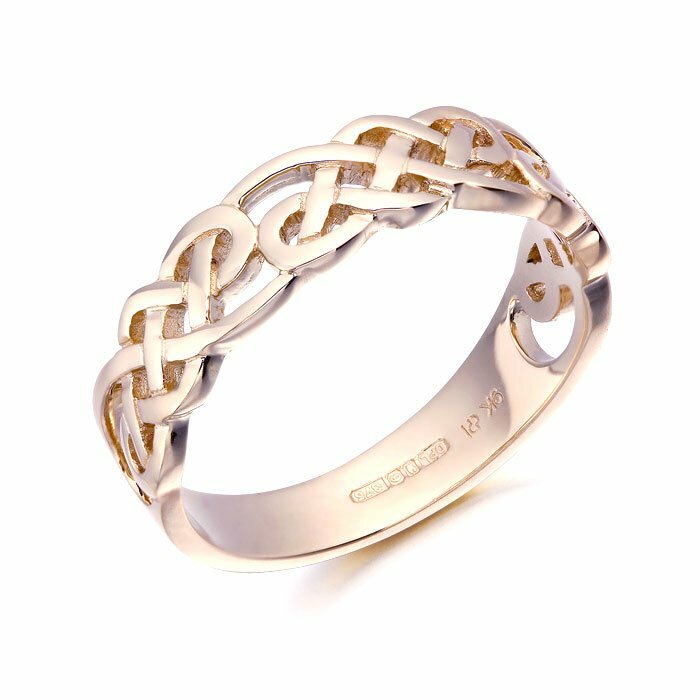 This simple but elegant 9ct Gold Ladies Celtic Knot Wedding Ring features intertwining woven lines which symbolize the intertwining forces of existence and eternal love. It is hard to tell if this beautiful Celtic Ring is simple and sturdy in design with braided Celtic knots. The open look of the plaited Celtic knots gives an airy look to the Celtic Ring while the intricate knots themselves make the Ring look elegant. Also this Rose Gold Celtic Ring would be a very special gift for a birthday or for Christmas or any occasion a person is celebrating. Anyone would love wearing this beautiful Celtic Ring. However it would be especially meaningful for a young Irish person expressing their heritage in such a lovely manner. 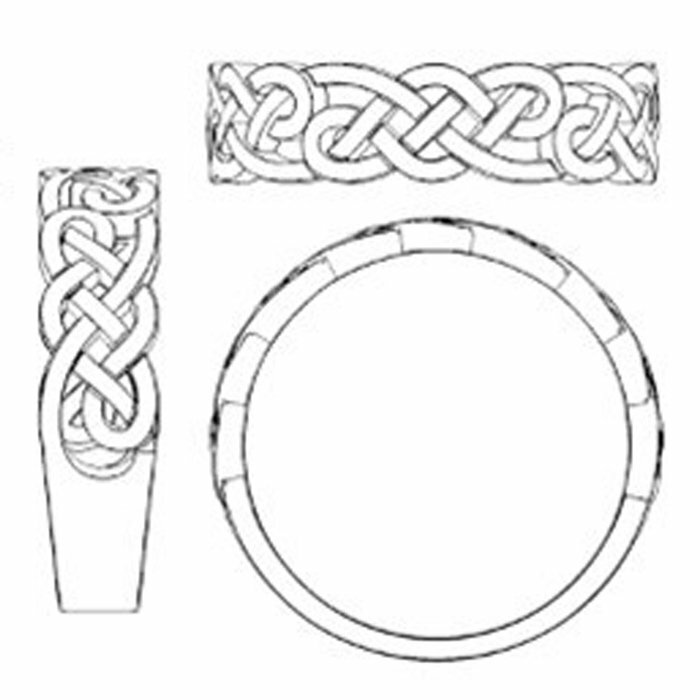 Also Celtic Ring could even be used as a Celtic wedding band. Whether a casual or formal occasion. Celtic Ring will be a pleasure to wear and totally appropriate for anytime. Because the design is simply Celtic knots with no other adornment that makes it simple and elegant.